When a startup is in its growth phase, it undergoes various organisational growing pains. The company will undergo a structural shift — significant numbers of new employees, new departments and a changing collegial culture. As the size of the team grows, maintaining effective and open communication with all employees as well as the integrity of the culture will be pivotal to the scaling process. Culture is an essential part of a company’s talent value proposition for hiring the best people. Especially in the early stages, where startups can’t compete on pay, a strong organisational culture helps develop a solid foundation and has a tendency to self-replicate as the company scales. Amy Edmondson explains that hiring the right talent is not enough. To unleash individual and collective talent, leaders must foster a psychologically safe climate and open culture where employees feel free to contribute ideas and communicate. 2017’s Gallup poll found that only three in 10 employees strongly agree with the statement that their opinions count at work. 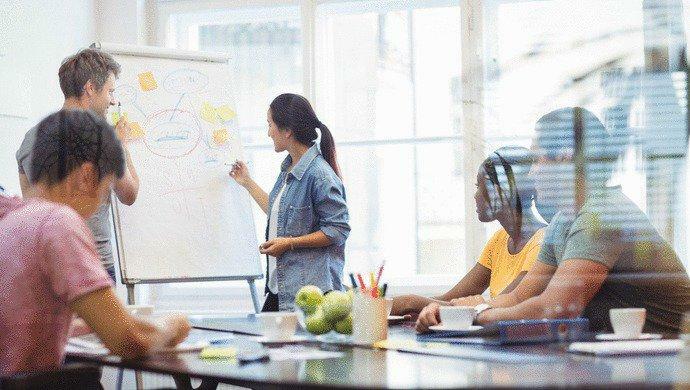 To grow without losing their culture, companies need to foster and nurture it from day one and across the entire employee journey. Organizations should invest in onboarding programs and follow up to ensure that new hires are familiar with the core values. Building and maintaining a strong corporate culture is not an easy task. Leaders should lead by example and inspire company culture through their own behaviour. Over-communication and role-modelling are essential to encourage an open feedback culture. By giving employees a voice and encouraging them to speak up, organisations can run regular checks on performance and culture fit. Collecting, analysing and acting on employee lifecycle data will empower leaders and HR with actionable insights to steer the company through the dramatic changes that will happen as it grows and scales. Employees in startups are usually the company’s most valuable and costly asset. Replacing an existing employee with a new one tends to cost about three times the salary of the one first hired — excluding the time spent rehiring and retraining if you don’t get it right the first time. In 2019, the movement to create personalized employee experiences is gathering significant momentum. The changing nature of the workforce now has employees expecting a new kind of relationship with and to their work. Employees in startups may migrate from job to job rapidly in search of greater experience and job titles. The point of highest leverage can then be optimised for a strong employee experience: 83 per cent of HR experts now believe that the employee experience is either important or very important. The software available in 2019 can help to supercharge employee experience and sense of belonging. The ability to use the power of data to drive decision-support at the managerial level is higher than it has ever been. In fact, Deloitte reports that People Data was the top human capital trend globally. Equipping founders and managers to move away from a one-size-fits-all approach to a one-size-fits-one approach would improve the quality of “moments of truth” for employees. Critical points of transition in their time with the company like onboarding, taking on greater responsibility, and possibly even relocation. Using people analytics at a granular level can empower leaders to take the greatest possible contribution toward the goals and activities that matter. Software like EngageRocket can be easily implemented and is a simpler way to enable organisations to track the pulse of employee sentiment across their lifecycle. It enables talents who struggle to speak up to have a safe and confidential way to voice their opinion and make a difference to their own engagement. On the other side, HR can get actionable insights from analytics and take immediate action to overcome potential pains. To finish and eventually win the marathon, startups need to do the right thing, in the right way, at the right time. Making informed decisions based on descriptive and prescriptive analytics allows leaders to make good choices, save time and maximise output. Scaling is hard, talents expect better experiences and opportunities to learn within the company. Research shows that companies with engaged employees perform 202 per cent better than those with disengaged teams. To grow effectively, startups need to attract, engage and maximize the time talent spend with the organisation. The post The secret to overcoming startups’ growing pains appeared first on e27.